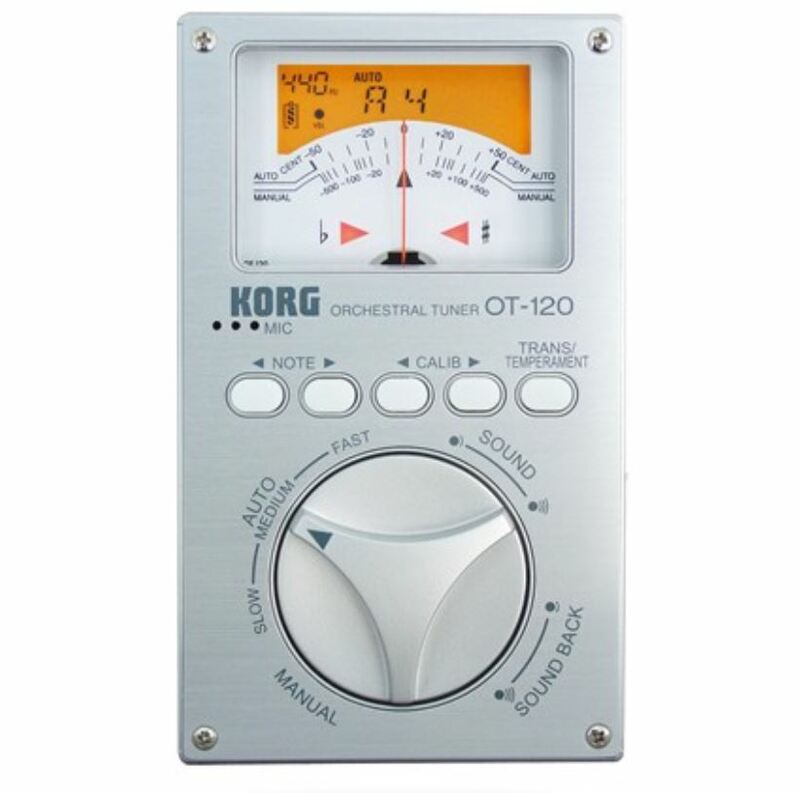 The OT-120 is a chromatic tuner intended for the orchestra, packaging high performance and sophisticated functionality in a vertical design that's easy to hold and operate. It features a dual-display, an easy-to-see needle-type indicator and a backlit LCD screen that shows the battery level, sound output level, calibration, key and note name. Additional design features include a large dial that makes it easy to select the desired mode, finger-friendly buttons and a rear-mounted stand that lets the unit stand by itself. A sophisticated silver aluminum panel contributes to its sleek, new look.